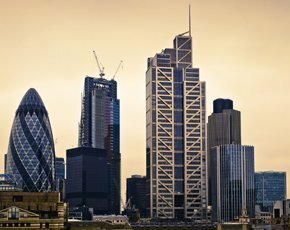 UK regulators are making it easier for new banks to start up and are forcing the existing giant banks to separate their investment and retail operations. Then there is public opinion. Most people blame the banks for the financial crisis that began in 2008 and crave more choice of where to bank. But perhaps a stronger force for change is coming from the people that back the banks financially. According to an article in the New York Post, investors are pushing for the break-up of the world’s biggest banks because expensive regulations are a heavy burden for shareholders. Banks that are seen as “too big to fail” have been heavily regulated since the financial turmoil of 2008. The newspaper report said JP Morgan has been called upon to split up, and shareholders at Bank of America, Deutsche Bank and HSBC say they are getting less return for their investments. Investors would get the best value if banks were broken up into a commercial bank for lending, an investment bank and an asset management company, according to Ryan Mendy, COO of analyst firm The Edge Group, cited by the New York Post. Alternatively, they could invest in new banks, which are being set up in response to regulatory changes that have made it easier to create a bank. Many of these new firms focus on particular financial products rather than offering everything. Earlier this week, a think-tank published a paper calling for the publicly owned Royal Bank of Scotland (RBS) to be broken up into 130 separate banks, rather than return to private ownership. A banking T-Rex is dying and nimble competitors will pick at its carcass. Is it too late for the retail bank giants to overhaul IT and survive? Computer Weekly looks at six of challenger banks and their use of IT to differentiate. An alternative vision for RBS by the New Economics Foundation (NEF) said the UK economy would receive a multi-billion-pound boost by breaking up the majority state-owned RBS into many banks operated in a similar way to the John Lewis Partnership. One senior UK banking IT professional said banks face major changes to their industry, whether they like it or not. “I am sure we are at an event horizon with the big banks,” he said. “If shareholders don't like the investment, they impose their will or get out. The banks can't control that, so they have to respond. A financial services sector made up of many smaller companies will have a huge impact on the IT sector. Traditional banks have been built on mainframe systems. These banks spend billions of pounds a year on IT, of which about 80% goes on maintenance, and they are held back by systems that were not designed for a digital world. Splitting up the banks could mean many products and services would no longer rely on these legacy systems. The banks will become much cheaper to run from an IT perspective and will be able to change much more easily to meet customer demand. Smaller banks will be more agile and responsive to customer demand, which will be important as competition will be fiercer. Rather than having a huge bank that provides current account, savings account, loans, mortgages, insurance and more, consumers could choose specialist finance firms for each product. These new financial firms could use technology as a differentiator and some of them might actually be technology companies. Jean Louis Bravard, IT outsourcing consultant and former CIO at JP Morgan, said the banks are under siege. “There is a global and fairly rapid deconstruction of banking,” he said. For years, banking IT professionals have called for legacy mainframe systems to be replaced. These systems have been running for up to 40 years and many see them as a disadvantage. Could it be that the banks themselves may be ripped up before the technology that has underpinned them for decades has a chance to be replaced?